"The Fastrack programme with the IA is by far the best thing I've done, it's not a cliche to call it a life changing experience. I'd quite happily go through the Fastrack again! The coaching provided by the instructors really is top level and they want to see you excel in everything. The IA gives you all the support and training to achieve your goals and, the passion for skiing that everyone involved has, is infectious. I signed up for the Fastrack Course in 2012 and managed to pass my CSIA Levels 1 and 2 in the first season, after this I was lucky enough to work for the Soldeu Ski School. Since then, with the opportunities and encouragement of the IA, I went on to achieve my Level 3 the following year. Now I am a CSIA Level 1 Course Conductor and it's great to be a part of others starting off as well. I've met some amazing people on the courses and through the Academy and can't wait to carry on progressing with them." "
"For me the experience with the Instructor Academy was one of the most exciting and rewarding times of my life. Loads of fun on the slopes, great training and an incredible sense of achievement on passing Level 2 in the final week of my time in Soldeu. Couldn't ask for anything more and it has opened a whole new world of work for me! No regrets and have fantastic memories of all the people I met and the help I received from other Instructors. A "Life Changing Experience" – this is how the Instructor Academy Fastrack Course was billed. My life has been changed. Sign up – you'll never regret it. 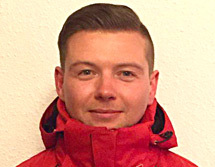 "I did my level 2 Coach first, then level 2 CSIA in the same season in Soldeu while I was at Uni. Level 3 was at the start of my first Ski Season working in Soldeu, then 2 seasons in Whistler Blackcomb and working on the slip crew for the Vancouver Olympics in 2010. Unbelievably massive amounts of training before getting my Level 4 in 2012 and then worked through my tasks to be a Level 3 Course Conductor last season." 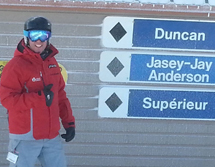 Duncan returns year-on-year to Andorra to take part in and run CSIA Courses for Instructor Academy, as well as other coaching courses around Europe. "I did my first course in 2000. I did my CSIA Level 1,2,3 and CSCF 1,2 with Instructor Academy in Andorra. I also did the level 4 course with them too. I passed the level 4 in Quebec in 2007. Then I became a Course Conductor and worked on CSIA courses as an examiner in Andorra from 2007 until 2013. I ran my first level 1 in Fernie B.C in 2005 and then level 2 in Andorra 2007 and then began running Level 3 courses in 2009. I am now the technical director of European Snowsport in Verbier and Zermatt. I am now also qualified within the Swiss System too. The CSIA remains a real inspiration for me, but I like to feel I am also influenced by many other associations too. The Instructor Academy was a fantastic way for me to first gain qualifications and then they supported my progression to become a Course Conductor too. It was a great journey and seemed to go pretty fast too! 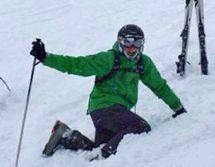 I have met some great people along the way and feel that Ski instructing has really given me confidence in myself. I was pretty shy at the start. Actually I am still like that really. 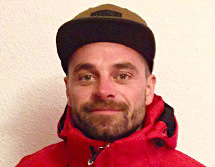 My wife too became a ski instructor with Instructor Academy and now i have 2 kids, so watch this space...."
Nick is Technical Director of European Snowsport in Verbier and Zermatt. 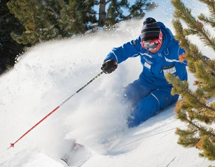 "A huge thank you to the Instructor Academy for all your help before, during and after I achieved my CSIA Level 1 and Level 2 Skiing Qualification. Not only were the courses thorough and effective, they were enjoyable. Whether it was learning more about the technical side of skiing or picking some sweet lines down the mountain, the courses were some of the best weeks of my life and I would do them again in a flash. I'm currently working as a Ski Instructor within New Zealand, which is a large leap across many ponds considering I'm originally from the UK. It's excellent fun and very satisfying work. Thanks once again to all of those involved, and especially to everyone who took part in the courses with me. Excellent memories and some great friends as a result. All the best, Ryan. " 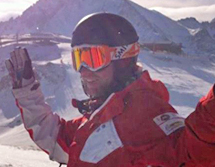 Ryan took part in the Instructor Academy Fastrack Course 2013/14 and has since gone on to work in New Zealand at Snowplanet and after only one season is now the SBS Supervisor for the resort. CSIA Instructor of the year 2015! "I had a fantastic experience with Instructors Academy in Soldeu which I attended in 2013. I would recommend it to any aspiring ski instructors. The expert instructors helped me to improve my skiing and boost my confidence which enabled me to pass my CSIA level 1 and 2. I thoroughly enjoyed my time in Soldeu with great people and awesome skiing, a brilliant experience. 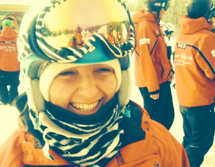 After qualifying I secured a position as a ski instructor at Nakiska in Canada which was amazing and I returned for a second season where I achieved CASI snowboard level 1 and was awarded CSIA Instructor of the Year 2015. A big thank you to all at Instructor Academy!" "My names Ash Gulliver, I am a typical board sports enthusiast from the Isle of Wight on the south coast of England. When I wanted to become a Snowboarding Instructor after a season in New Zealand (if you haven't gone there yet then go!) I thought it would be far too expensive and complicated to undertake the courses. But that's when a friend of mine mentioned the Instructor Academy in Andorra. I checked their websites and there were courses all through the season so I picked my dates and signed up for a CASI level 1 and CASI Park 1 and I was set. Sandie who books the courses was so friendly and helpful. I must have bugged her day and night with questions but she sorted the transfer to Andorra and back, and my accommodation she is so helpful. Anyway the day came and I arrived in Andorra day before my Course to meet other like minded snowaholics on the Course and I am still good friends with these people to this day. I met with Gordon who showed me to my accommodation which was a really sweet place to be staying. Anyway after completing my Level 1, I asked the evaluator if it was worth a shot giving the level 2 and he told me to go for it. So I booked that too. The CASI Park 1 was by far the most fun I have had in a learning environment on snow. It was a good laugh and a certification at the end. The Level 2 was also great fun. If not a little nervy at times due to me not having great deals of experience snowboarding in the past. Turns out within a couple of weeks I had achieved my CASI Level 2 and a Park 1. I was a Snowboarding Instructor now. If there was snow on a mountain I could work there. I sent some emails and within two weeks I was working the remainder of that season between Italy and Austria teaching school groups. These courses had sent me from zero to hero. I went from working a landscaping job in the rain to be one of the most respectable figures on a mountain. I still pinch myself to this day really. Anyway the following season I landed myself a job in any powder freaks holy grail ......Japan. I worked at a ski school called Happo one (oh-ney) in Hakuba Japan. The mountain was host to the 98 Olympic Games and has some real history. The ski school was just starting to do English speaking lessons due to the amount of Australians and Europeans now travelling there. So after my first season, they wanted me back! So I went back for a second season. This time I had a little bit more responsibility though as I was a kind of go between between the Japanese instructors and the English speaking instructor team which was much larger this year due to good business the year before. Not to mention between the northern hemisphere seasons I was offered work at Hotham in Australia in their 2014 season and work in New Zealand in 2015 season which I had to sadly decline. So if you are thinking of taking a course. Don't think, just do. It's only money and you can always make more money. But better to make money knee deep in the White stuff. Get you Certs and start emailing Ski Schools. Who knows where you'll end up. Even send me an email. Come work with me in the land of the rising sun. And a quick thank you to all of those at Instructor Academy and the Evaluators from CASI. And just to let those reading know. My time at Instructor Academy isn't over. I'll be back to finish off my Level 3 soon so maybe I'll be in Andorra with you." CASI Level 1 and 2, CASI Level 1 Park, achieved in only 3 weeks with Instructor Academy! 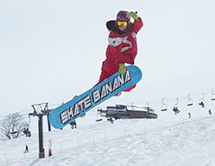 Now running a Snowboard School in Japan. Blyth had only skied for three weeks prior to signing up with the Instructors Academy on the Fastrack course. You may also like to use my poem if you wish it's called skiing on Soldeu's pistes I'm sure Gordy has a copy if not let me know... Blyth"